Robert Mugabe, the 93-year-old dictator who led Zimbabwe for 37 years, was expected to resign in an address to the nation Sunday afternoon. He didn't. He was removed as the leader of his party and was reportedly negotiating his resignation with military leaders earlier in the day, but said in his speech that he planned to preside over next month's party congress. Party leaders have said he'll be impeached if he doesn't resign by early next week. Emmerson Mnangagwa, who is known as a ruthless strongman and was Zimbabwe's vice president until Mugabe precipitated the coup by placing his wife next in line for the presidency, appeared poised to take control. 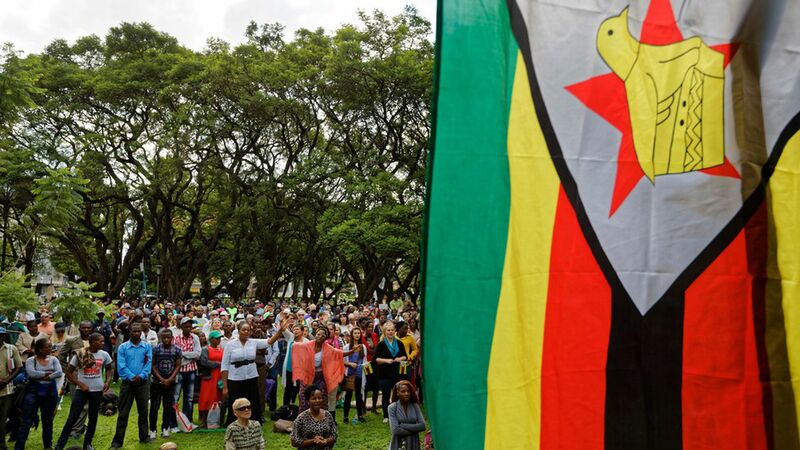 After Mugabe's speech, it's unclear what will happen next.